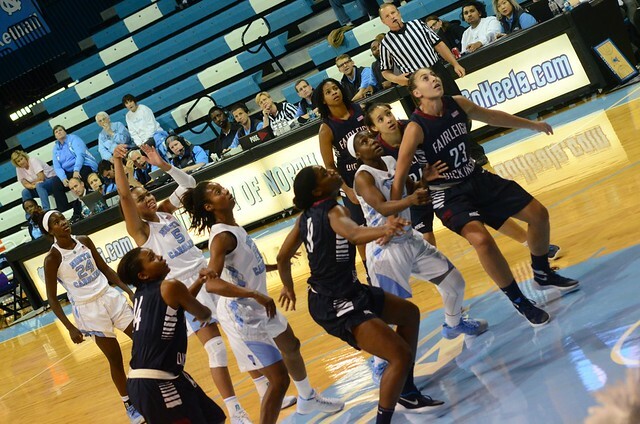 The Heels hosted the first round of the Naismith Hall of Fame Challenge at Carmichael this weekend, welcoming Fairleigh Dickinson, Iona, and Yale for a round robin tournament. 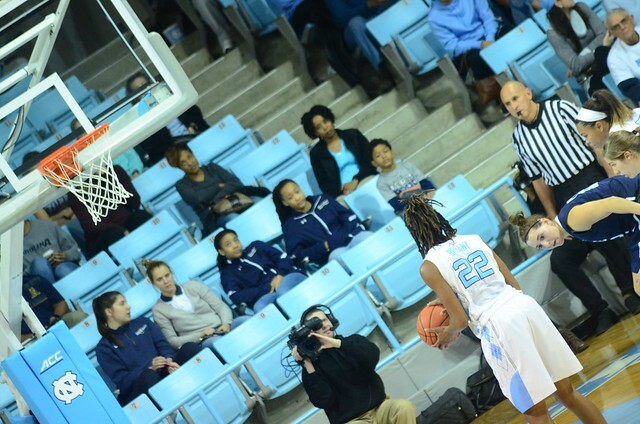 UNC won all three of their games, though all three were also pretty tough fights. 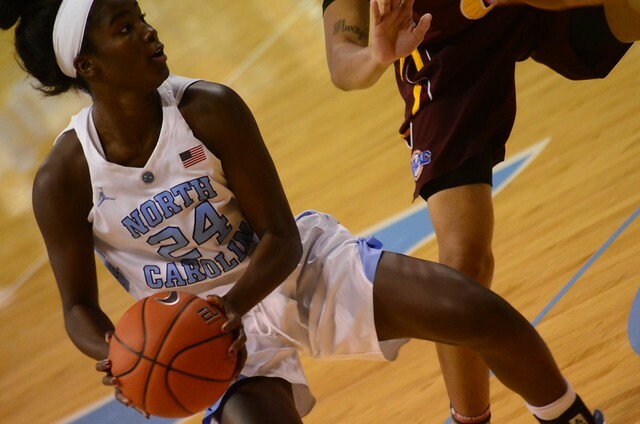 It’s good to see some more of the team, including the much awaited return of Xylina McDaniel, who was on the Naismith watch list last year before her season ended with an injury in December. 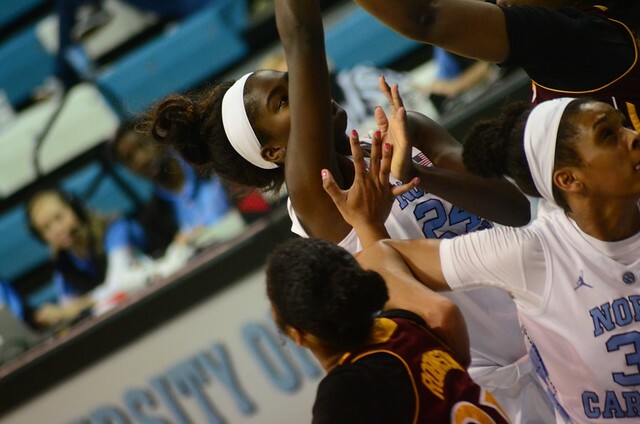 (Yes, her dad is Xavier McDaniel. Yes, she’s got some fantastic post moves.) 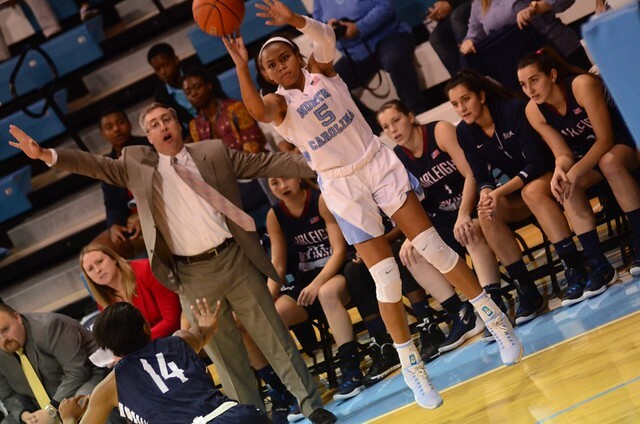 Her comfort levels on the court — and minutes played — increased exponentially each game and especially Friday, against a tall FDU team, her time on the court really freed up Hillary Summers (career high 20 pts) and N’Dea Bryant (15pts) to operate inside. 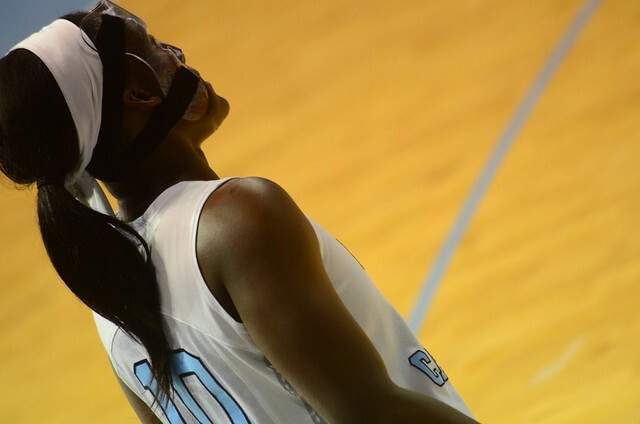 The Heels took a couple of shots this weekend, though, with Jamie Cherry suffering a broken nose on Friday and playing in a mask she obviously dislikes the rest of the weekend, and Steph Walker going down with an ankle injury Saturday and still looking a little stiff yesterday. A good team weekend, though — all three days somebody else was the hero. 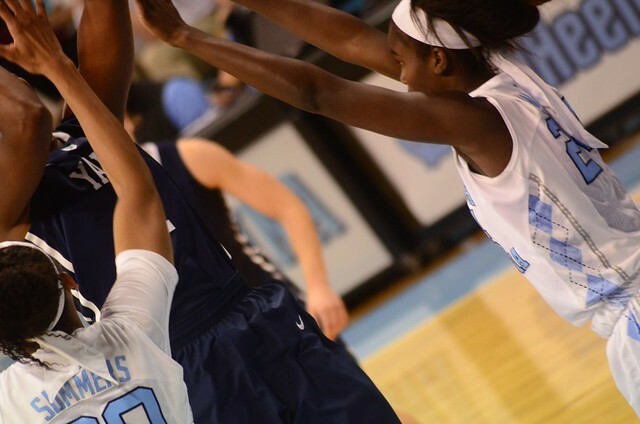 Friday it was Hillary, Saturday it was Destinee Walker with 25 pts and an absolute third eye laser precision view of her big men working in the post, and Sunday it was Jamie Cherry with a couple big threes and some icing free throws down the stretch against a Yale team that didn’t quit. A fun weekend. The Yale coach is Trav’s age. We’re wondering what we’re doing with our lives.